This Quinoa Power Salad is having a bit of an identity crisis. It badly wants to be a cool kid and be called a Quinoa Power Bowl. Salad just sounds so boring and uninteresting; bowls are so trendy and now. Like any child, it had to listen to its wise mother. (Are you following this? I’m the wise mother. The salad is the child. Too much of a stretch? Sorry. It’s Monday.) The wise mother said that you can call yourself whatever you want, but you can’t change what you are. 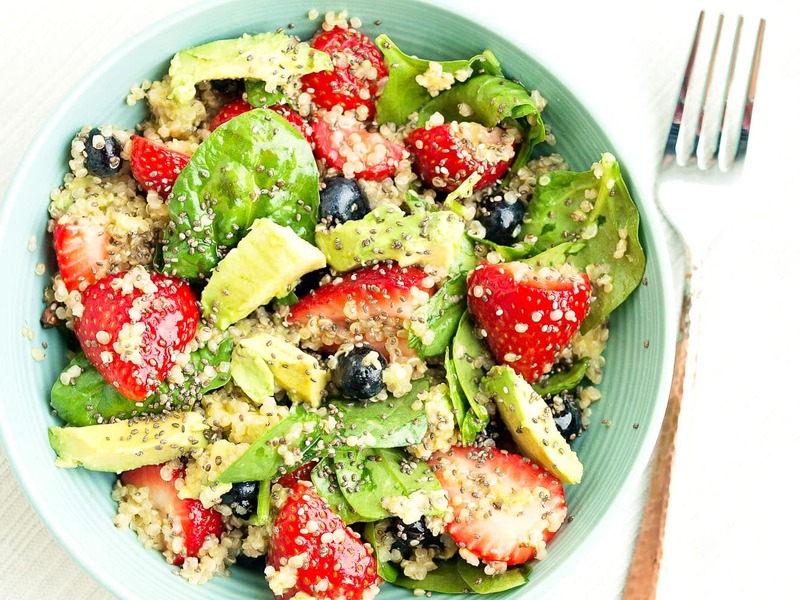 And when you put spinach, quinoa, strawberries, blueberries, and avocado together, top them with chia seeds and dressing, it’s a salad. Even if you serve it in a bowl. I won’t be mad if you want to call this a Quinoa Power Bowl. I almost went that route. It has a nice ring to it and if someone asks what you had for lunch, Quinoa Power Bowl sounds pretty cool. But for the sake of clarity, I’m calling this a Quinoa Power Salad. It has just about everything I love in one bowl. Topped with chia seeds (powerful!) and a simple, but lovely honey lime dressing that adds just enough flavor to the fresh ingredients. Strict vegans, use agave in place of the honey and you have a protein-packed vegan salad that will knock your socks off. Because this recipe was primarily developed for my own lunch, it’s a small batch that serves 1-2 as an entire meal, depending on how hungry you are. You can easily double, triple, or even quadruple this recipe if you need to feed a family or a crowd as a side dish. It’s a salad. It’s a bowl. It’s a salad in a bowl. Call it whatever you want, just make it! You’ll love it. This Quinoa Power Salad is an easy-to-put-together, nutrient-packed salad that tastes amazing. Whisk together the olive oil, lime juice, and honey and set aside. 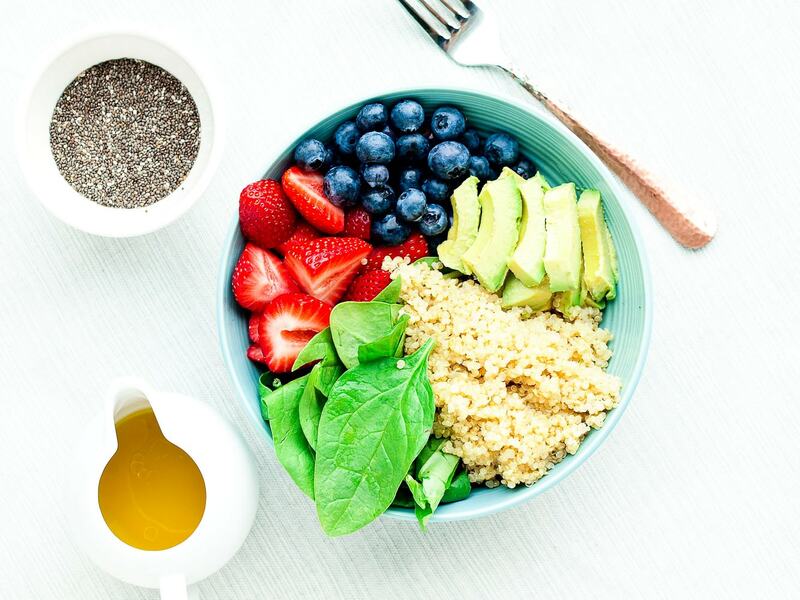 In a medium bowl, combine the spinach, quinoa, strawberries, and blueberries and toss to combine. Drizzle with the dressing, reserving a little bit of it, and toss again to combine. Add the avocado slices and lightly toss. Drizzle the rest of the dressing on top and sprinkle with the chia seeds. Oh yes, I will definitely love it! And my 2 kids and husband too :)! 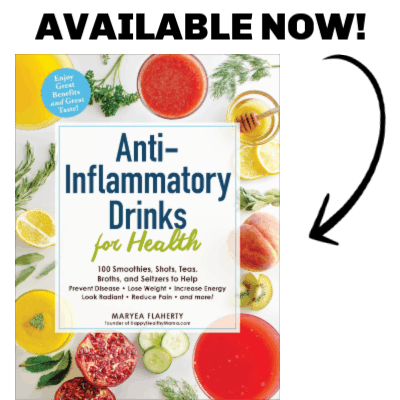 Thank you, Maryea! (I guess one can never have too many exclamation marks :)). Yum! 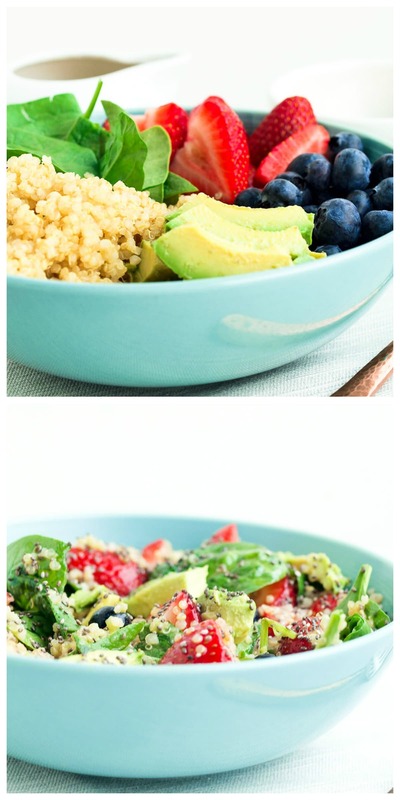 I love quinoa salads/ bowls. And I love the idea to add in berries. This looks so yummy and so easy! As I have said before, I just love your blogs evolvement. Keep up the great work! Thanks so much Heather. That means a lot! I will make this without the quinoa and it will still be amazing! As a diabetic the high carbohydrate count is out of the question with the quinoa, as it should be with all diabetics. It seems to have a very high fat content, no?